Adorable ''Get Away'' Cabin surrounded by trees, making a private setting! 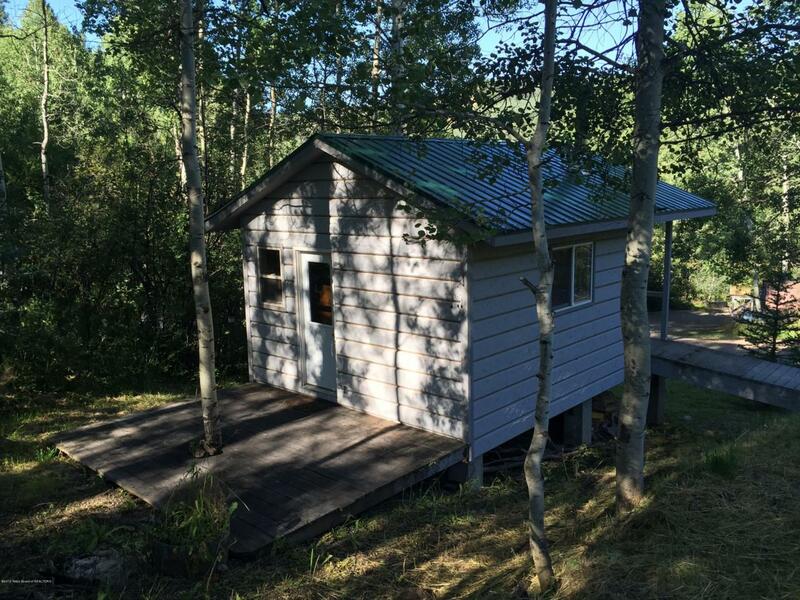 This is a small cabin with a great little wood stove in the corner, nice kitchen cabinets! Solar Powered. And off the Grid!! Really nice level area to build a main home, and use the cabin as a guest house! Water is a community water system, and a great spring. Power is to the property, and there is a wood fired hot tub for some romantic evenings! Treed lot for privacy and on a maintained road!